Instilling a love of books and reading in our children is a pretty universal parenting goal, no matter how we may feel about books and reading ourselves. And while our kids always seem to ask for repeat performances of the very stories we don’t love so much (you know the ones … endless pages of tedious plot lines and terrible dialogue), there are some books that are so fun to read that you’ll find yourself clinging to any old excuse to snuggle up together for story time. And of these, pop-up books have got to be the most fun of all. Check out our pop-up favourites – some for very young children and some that will really appeal for the bigger kids amongst us! 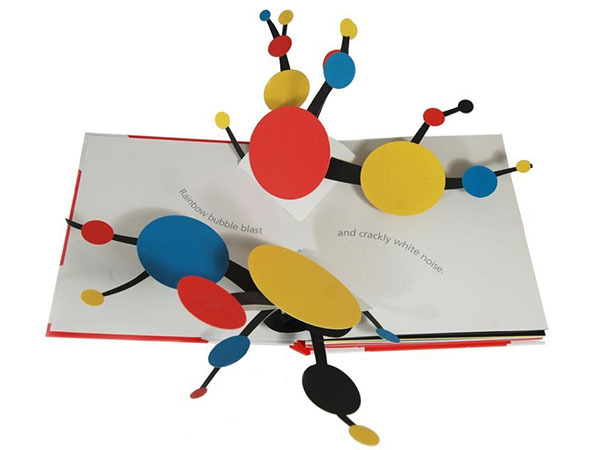 Each of the ten magnificent pop-up sculptures challenges readers to find the one red dot. From the flip-flop flaps to the whimsical wiggle-wobble widgets, each page is an original piece of artwork to cherish and admire.